Good bread has always featured in the daily life of Einat Chalmers, head baker and owner of Mamoosh Artisan Bakery. From her everyday life as a child in Israel to the cherished memories of her time at her fathers seafood restaurant in Tel Aviv, baking is in her blood and is her passion! Along her journey Einat has spent time working in all areas of fine baking and restaurants, her experiences include managing high end restaurants in NYC and studying at the Prestige Cookery School to studying in fine pastry at French patisseries here in the UK. This passion for good food was the catalyst for the creation of Mamoosh, an independent Middle Eastern bakery based in East Sussex. 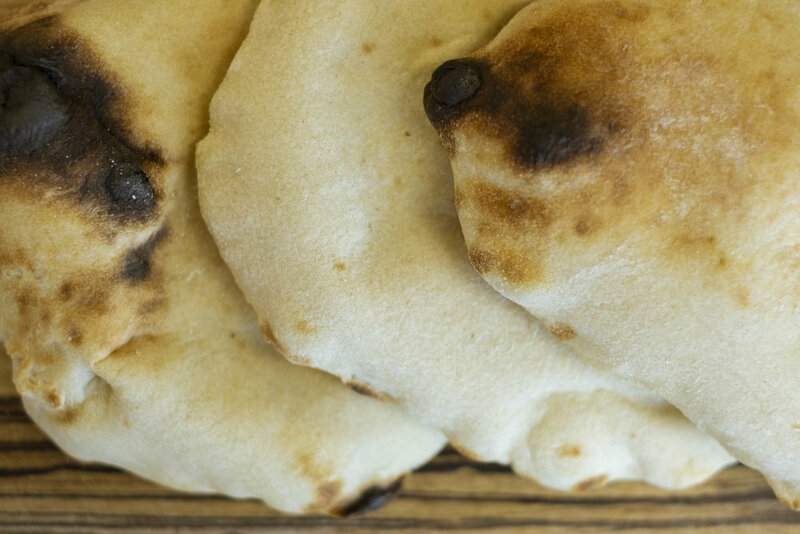 The core of the business centres on lovingly baked pitta breads, made using traditional techniques and on an oven imported from Israel specifically for the baking of pitta breads, not only do they have heritage but they taste fantastic, and once you try one you won't go back to tired, dry, shop brought pitta breads again! Einat's talent for food and her love for an array of different flavours means that she is a versatile baker and chef, and her canon of recipes is seemingly endless. 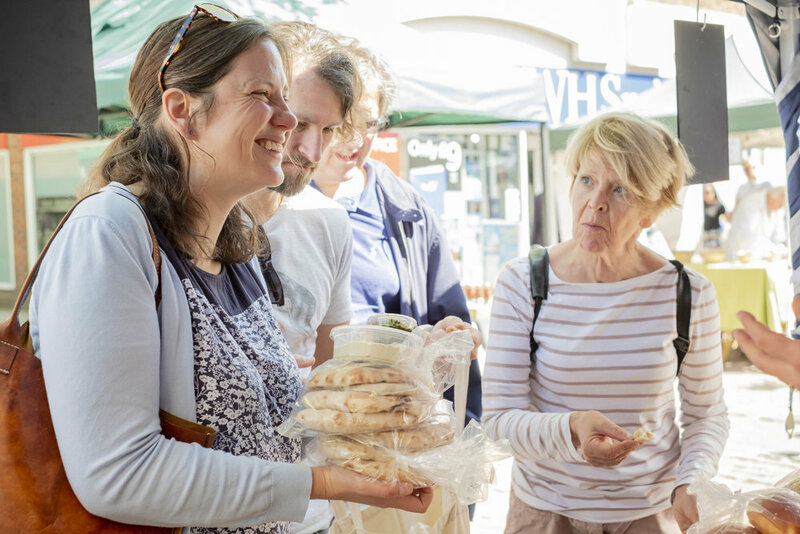 As the business grows she will be able to offer a larger selection of middle eastern breads, brioche, humous, salads and so much more. But for now the focus is on middle eastern breads, and very fine ones at that! Why not get in touch to see what we could do for your restaurant, catering business or independent supermarket, we would be happy to visit you with some samples to discuss your needs! You can buy Mamoosh products at various markets and shops in the Brighton and Lewes region. We sell our pittas and brioche, zhug, tahini dip, matbuchah, humus and babaganoush at the following places. 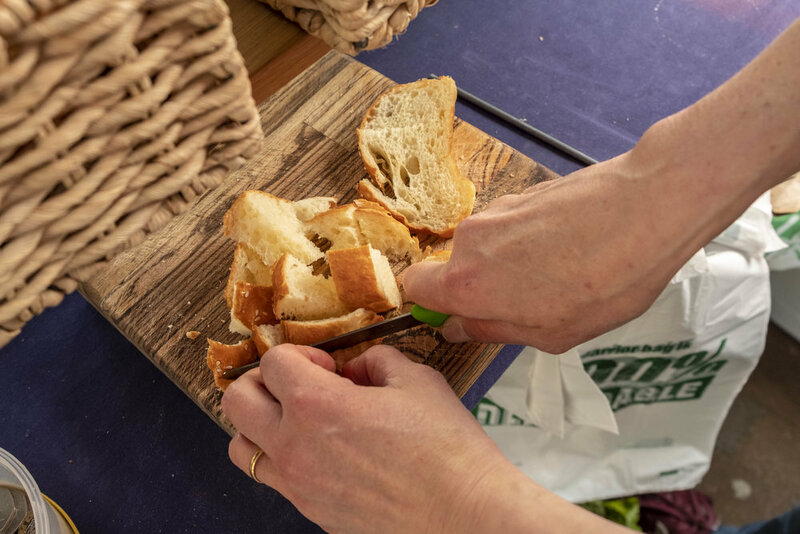 Along with the markets, wholesale is at the heart of the Mamoosh business, we believe that many restaurants and caterers should be using the finest breads to compliment the fresh and delicious choices offered on their menu. What could be more tantalising than a contemporary take on a traditional Middle Eastern classic, baked using traditional ovens and techniques! 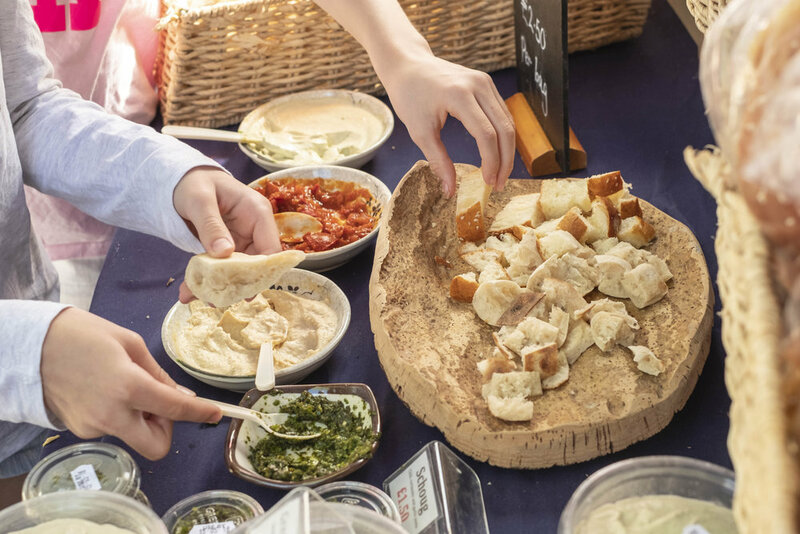 Mamoosh works with many Sussex business' in a wholesale capacity, supplying pitta breads and brioche for restaurants, events catering, independent supermarkets. We offer great deals for large wholesale orders and can deliver to you to store or to use fresh, get in touch to see what we could do for you and your business! Follow our culinary adventures on Instagram!